Stay up-to-date with your industry. Ongoing professional development is important for all Downer employees to ensure that our people and their skills grow with the business. Our focus on development is designed to ensure that we deliver maximum value to our customers and the services we provide. Some of the learning and development initiatives we offer include inductions, Zero Harm and compliance, project management, leadership and mentoring programs. Ongoing professional development is important for all Downer employees to ensure that our people and their capabilities grow with the business. Our focus on development is designed to ensure that we deliver maximum value to our customers and the services we provide. LEaDYP is a leadership program for Downer’s Young Professionals (YPs). To be nominated for the program, employees are identified as a talented young professional in the business. 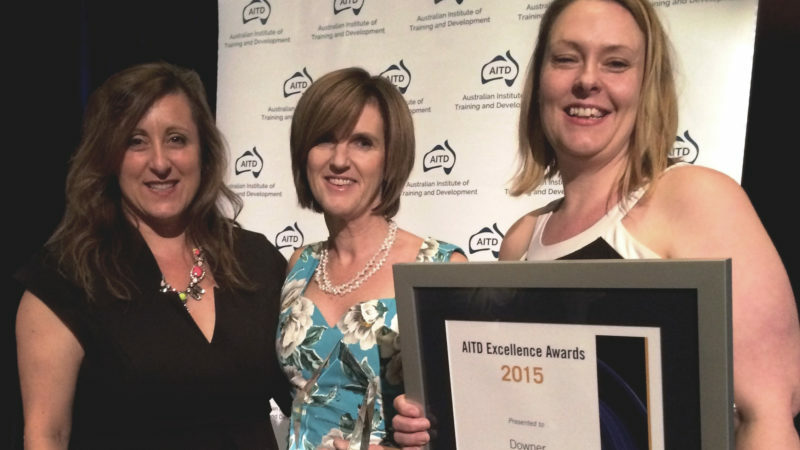 In 2015 Downer was awarded the 2015 award for best Talent Development Program in Australia for this program. The group reconvenes a couple of times during the year to develop and deliver a business improvement project, continuing to draw on the behaviours and values represented by our four Pillars. Pictured (left to right): Members of Downer’s L&D team - Rosemary Livermore, Learning and Design Specialist Bernadette Cavanagh, General Manager, Capability and Change and Candice Mesecke, Learning Design Specialist. The Downer Basic Civils programme, between Downer and Waikato-Tainui, in partnership with the Ministry of Social Development, has resulted in 7 previously unemployed members of the community gaining a qualification and employment. Downer and WDC are partners of the Waikato District Alliance (WDA) a joint venture formed to manage and maintain the roading assets of the district. The Basic Civils Programme aims to attract capable people into the industry and give them career pathways along with industry qualifications. “We have taken this programme and worked together with Downer to ensure it is contextual to the needs of our Iwi. 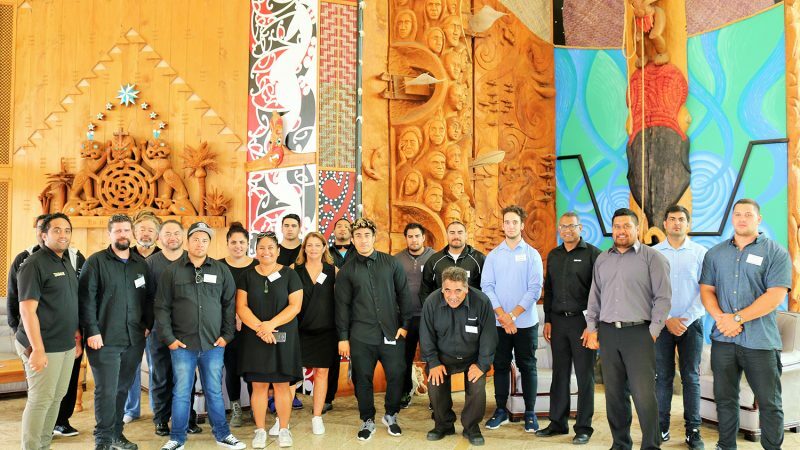 The two week schedule encompassed an introduction to infrastructure framed by the work of Waikato-Tainui in the community,” says Donna Flavell, CEO of Waikato-Tainui. “To get the most out of the programme, the team at the Waikato-Tainui Careers Centre ran a robust pre-employment process to ensure those who made it through had the very best chance to take on a career in infrastructure. We wanted to ensure this investment worked for everyone” says Ms Flavell. The programme is designed to attract local people to careers in infrastructure and provide a clearly defined career path, supplemented with studies and linked to a national qualification. “In the past, the industry has not had a clearly defined trade like other mainstream trades such as builders, plumbers and electricians. Having a qualification attached to what used to be a “road worker”, has definitely attracted a high calibre of people, who ordinarily would have not considered applying for entry level jobs in the industry.” WDA Manager Doug Carrasco. The roading industry in New Zealand, along with many other industries, is experiencing a shortage of skilled personnel. “By providing these learning opportunities that are linked with career pathways we are in a position to attract candidates who are keen to succeed,” says Mr Carrasco. Schemes like the Downer Basics Civils Programme are designed to create depth and succession in organisations that have an ageing workforce. “Even if these trainees and apprentices do not stay with the Waikato District Alliance for a long period, the industry as a whole will see the benefits in the years to come,” says Mr Carrasco. The intention is for Waikato District Alliance to run the Downer Basic Civils programme annually.